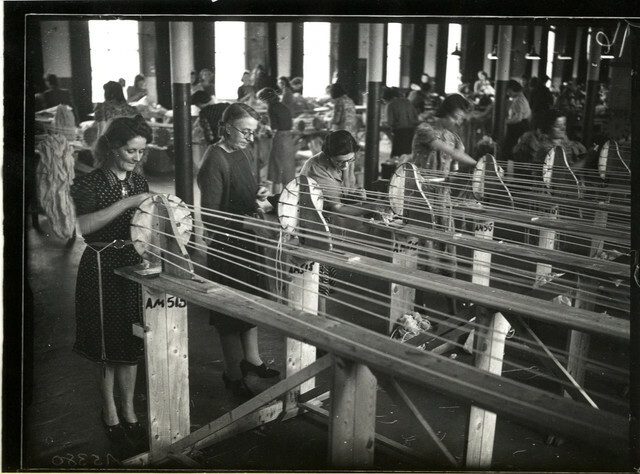 The Linen Hall Library and the Public Record Office of Northern Ireland (PRONI) have come together to present simultaneous exhibitions uncovering hidden female voices and stories from across the centuries. The EU funded In Her Words and Anonymous Was A Woman exhibitions opened to the public on Thursday 11 and Friday 12 April. 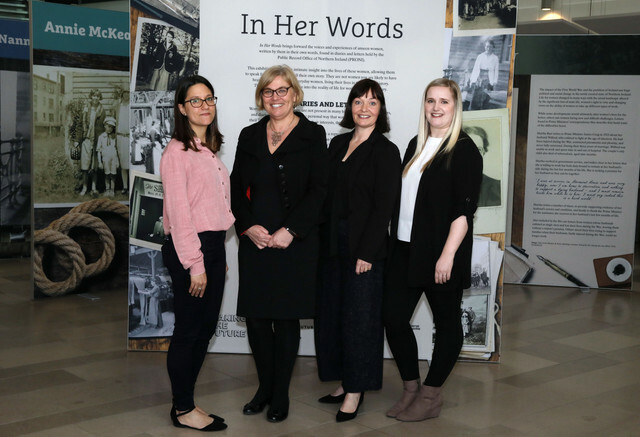 In Her Words at the Public Record Office of Northern Ireland (PRONI) in Belfast's Titanic Quarter brings forward the voices and experiences of unseen women, written by them in their own words, found in diaries and letters held in public records. Dr. Laura Aguiar, Making the Future Community Engagement Officer & Creative Producer, Tracy Meharg; Permanent Secretary, Department for Communities, Leanne Massey; Director of Joint Secretariat, SEUPB; and Lynsey Gillespie, Making the Future Curator. At the Linen Hall Library, Anonymous Was A Woman charts some of the key events that have contributed to female equality and citizenship across the island of Ireland.